What is GPX and what can you do with it in Locus?Locus	What is GPX and what can you do with it in Locus? You must have met this GPX abbreviation many times before when working with tracks or points. GPX importing into Locus, track or points export into GPX… Anyway, what does this magic formula mean? 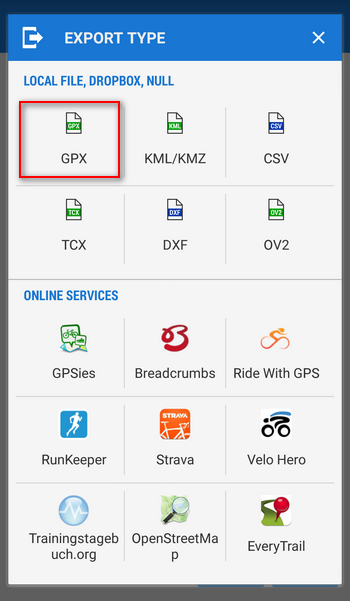 A file with GPX suffix, meaning GPS eXchange format, is a common GPS data format based on XML and used in various software applications. I describes georeferenced line and point objects, tracks or points in our case, e.g. geocaches. Its detailed description can be found on this Wikipedia page. As it ‘s been already mentioned, in general it is used for transferring information about tracks and points between applications. In case of Locus it means communication between it and e.g. 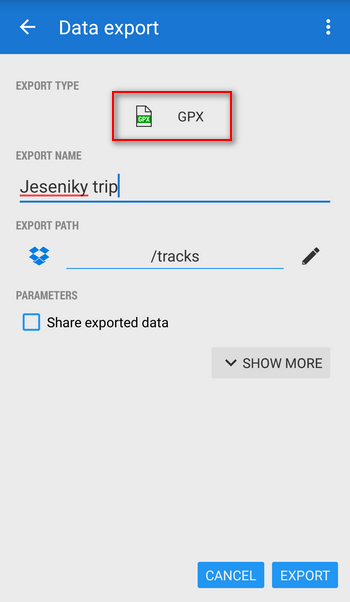 websites where you can upload your tracks in GPX form or between Locus and other similar apps (e.g. OruxMaps) or between Locuses mutually. One GPS file can contain both tracks/routes (even more at once) and points – Locus can handle them all. Let’s show it on a few examples. You love riding a bike, hiking in the mountains. You always plan your routes carefully but when you are headed to some unexplored places you can find out it could be worth getting yourself inspired by someone who had visited the place before you and had planned the routes, or even better, tested the routes on his own. And so you start browsing the Internet. There are loads of options, loads of route database servers all over the World. Locus directly cooperates with one of them, GPSies.com – you can browse their database directly within the app, as we have mentioned here once. Anyway, it might happen you won’t find the right route on GPSies or you just prefer some other service. For instance, Bikemap.net. 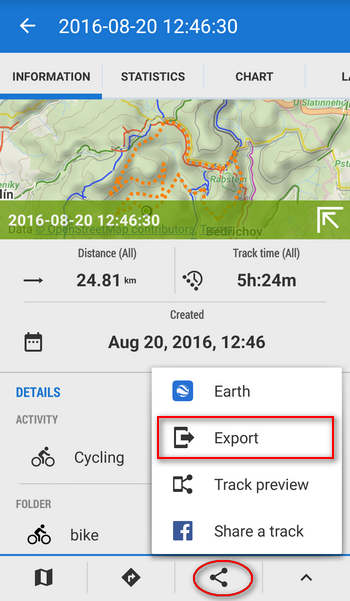 When you export the route out we recommend to store it in your Dropbox. That the shortest way to a mobile and subsequently to Locus that is able to display Dropbox folders as one of the file manager tabs. 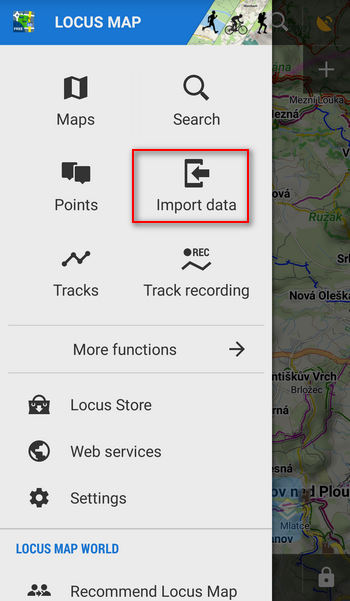 You have several options in Locus how to import a GPX route. Over the Data import button in the main menu, over the Import in a route folder action menu… all about import can be found in our User guide. As we mentioned in the beginning, GPX can contain both routes and points. When importing such a file Locus offers storing points to an extra folder or merging them with the route and store in one folder. This way, however, you’ll miss the option to manipulate with the points individually. 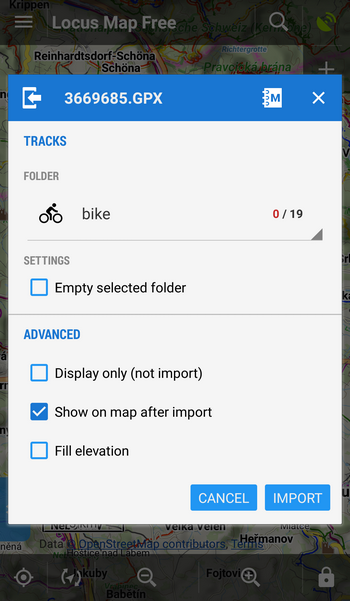 If you don’t have GPX set as the default export format, tap the item under the Export type title and select GPX. Name your track, define the storage place (again we recommend Dropbox) and export. On the Bikemap.net, click the “Upload” button in the upper right “New route” menu. Find your file on Dropbox and import. 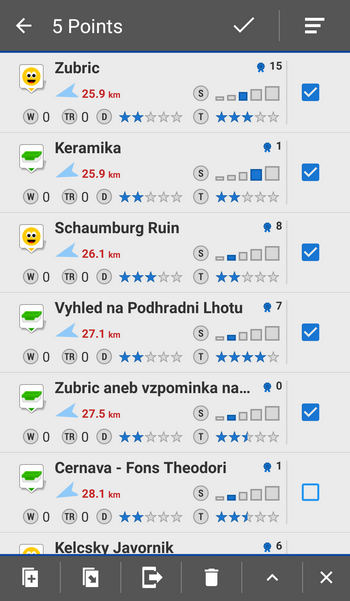 If you’d like to sent a tip for afternoon geocaching hunt to you friend, GPX again may be the solution. Mark the caches for export in your points manager in Locus and select Export from the bottom bar. Save the file where you need and sent it via e-mail. Your friend can import it to his Locus or some web based map service. GPX format can handle a pretty huge amount of data as we have recently seen in the article about a unique database of sleeping shelters, that we transferred into Locus as one big GPX file as well. Do you have any other tips or tricks on using GPX in Locus and would you like to share them? Write in comments. Just tried to upload in bikenet.com a gpx exported from Locus 3.18.6, including data from ant+ sensors. I get a big error message. Other tools are able to handle this file. Could you please send your issue to locus.map@asamm.com including the GPX file for analysis? We’ll try to help you. The GPX format is an XML data format designed for lossless storage and transfer of data for GPS devices. As such, it can contain a vast array of very detailed data (such as GPS signal strength, number of visible satellites, etc). The format is extensible by using a special extension keyword in its XML. It is used by programs that can match GPS data to events (such as geocoding photos) and is the best choice when you need to move data between GPS devices or when you have needs other than presentation. 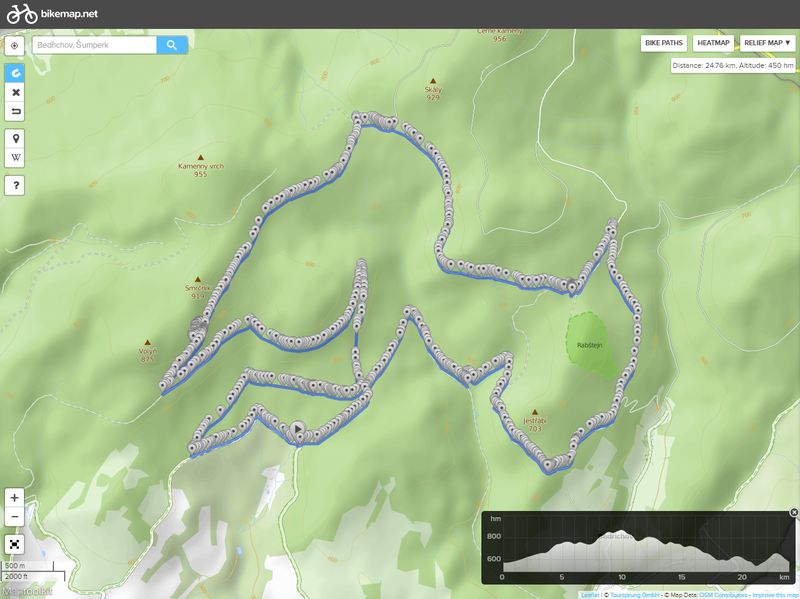 The format has explicit formats for Routes, Waypoints, and Tracks as distinct data types. Which file format you use is dependent upon what you’re trying to do. 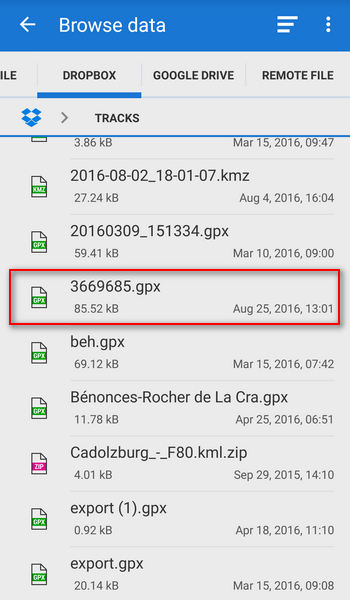 For people who are looking to preserve the maximum amount of data, make sure you get a GPX file, since they’re going to contain all of the information that we downloaded from the device. If you only need the tracks for Google Earth, then you can just grab the KML. 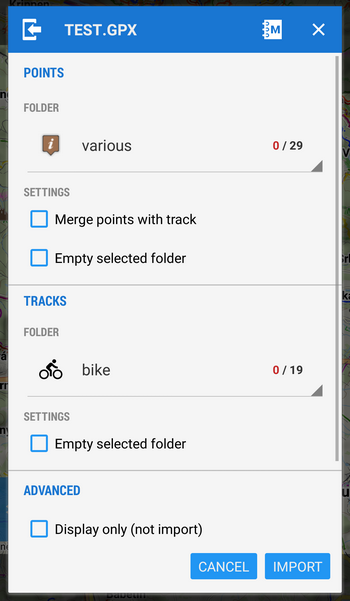 However, it is suggested that if you have any doubt, you get the GPX and the KML (LoadMyTracks will happily convert from GPX to KML, but can’t do the other way around) and save the GPX for archival purposes.